The Bachelor of Engineering with Honours in Telematics (Intelligent Transportation Systems Engineering) is the first of its kind in Singapore. It consists of two interdisciplinary fields – Vehicular Telematics and Intelligent Transportation Systems (ITS) Engineering. ITS plays an important role in enhancing our public transport systems, as well as managing and optimising the limited road space in Singapore. ITS continues to be the mainstay for delivering a convenient, safe and comfortable travel experience. An increasing vehicle population in our land-scarce city-state, coupled with changing social, economic and technological landscapes have brought forth new opportunities for growth and breakthroughs in transportation technologies, application and solutions. Vehicles of tomorrow will have the capability to communicate with nearby vehicles wirelessly and share useful information on their surroundings, providing commuters and motorists with an enhanced travel experience. The primary driver for such connected vehicles and inter-vehicle cooperative application is the enhancement of safety for both motorists and pedestrians. The development of telematics technologies and vehicular communication technologies enable telematics applications such as advance driver-assistance applications to alert motorists on road safety, dynamic routing, intelligent parking guidance and real-time traffic news delivery, amongst others. 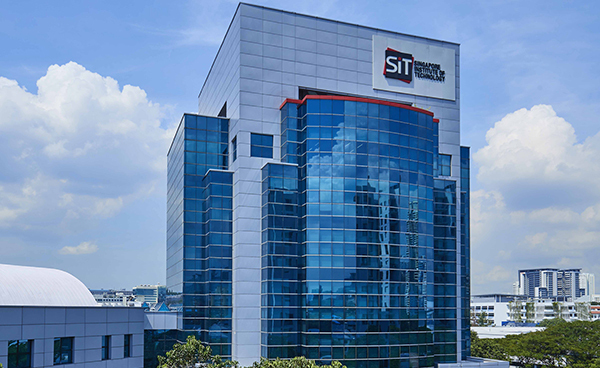 The Bachelor of Engineering with Honours in Telematics (ITS Engineering) is a multi-disciplinary programme with a curriculum that has been developed with support from organisations such as LTA, ST Electronics, NCS and Continental Automotive Singapore Pte Ltd. Students will be equipped with electrical engineering and computer science core skills and ITS knowledge in order to work in this technically challenging field. Deep specialist skills in vehicular communication, telematics technologies and ITS engineering are much needed in these industries. To be awarded the Bachelor of Engineering with Honours in Telematics (Intelligent Transportation Systems Engineering), students will be required to complete six trimesters of study and two trimesters of Integrated Work Study Programme (IWSP). Industrial Immersion Programme (IIP): Students will have the opportunity to visit relevant industries locally or overseas in the area of telematics, automotive engineering or ITS to understand the latest development in this field. Trend Antenna: Students will have the opportunity to participate in the Trend Antenna programme developed by Continental Automotive Singapore Pte Ltd. This programme allows students to be at the frontline of cutting-edge technologies and innovation in the automotive industry. Students will be expected to generate new ideas, research about technologies, prototype ideas, as well as develop value chain and possible business models. The innovative ideas from trend antenna may also be used in group design projects or capstone projects. Integrated Work Study Programme (IWSP): IWSP is held over a span of 8 months and provides you with the opportunity to gain industry experience, integrate theory with practice and develop deep specialist skills in your chosen field. You will also be involved in day-to-day operations and confront challenges just like an employee of the host organisation. Telematics (ITS Engineering) is a unique programme with a curriculum that has been developed with support from various organisations in the land transport industry such as LTA, Singapore Technologies, NCS and companies in the automotive industry such as Continental Automotive Singapore Pte Ltd. Students will therefore gain the necessary knowledge and skills to embark on a rewarding career in the industry. Diploma holders from any of the five local polytechnics and A-Level graduates are welcome to apply. Students with relevant engineering background, i.e. Diploma in Electrical and Electronics Engineering, Computer Engineering and Information Technology, may apply for exemption from modules of up to a maximum of two trimesters. For students with non-relevant diplomas, exemption from modules will be considered on a case-by-case basis.